What’s the Point of Parenting? 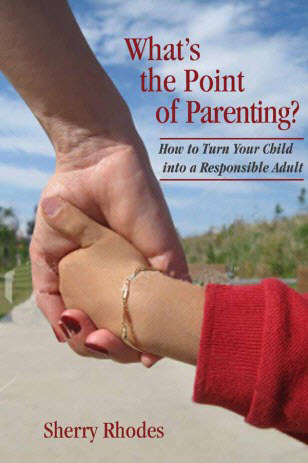 How to Turn Your Child into a Responsible Adult is a new kind of parenting book. Written by Sherry Rhodes, a teacher for over forty years, it reminds parents of all the things children need to learn, and how to teach those things. It also offers tips on how to convince children the importance of learning these skills. Topics include respect, consequences, finances, healthy living, ethics, safety, and more. The second section of the book is a timeline, broken down into developmental stages, that explains which items need to be taught at each stage. A great gift idea for parents, grandparents, and caregivers. Available on Amazon and BarnesandNoble.com.